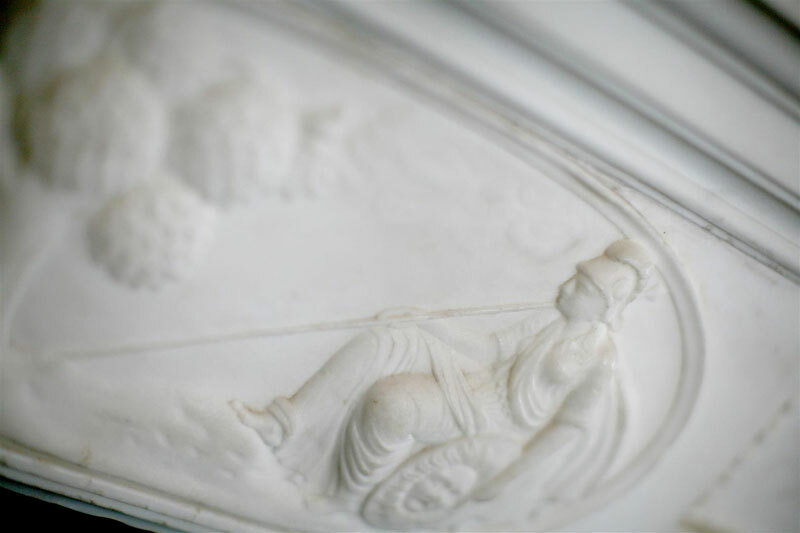 This 18th century statuary marble chimneypiece was salvaged from a period building that had not been lived in for over 15 years. 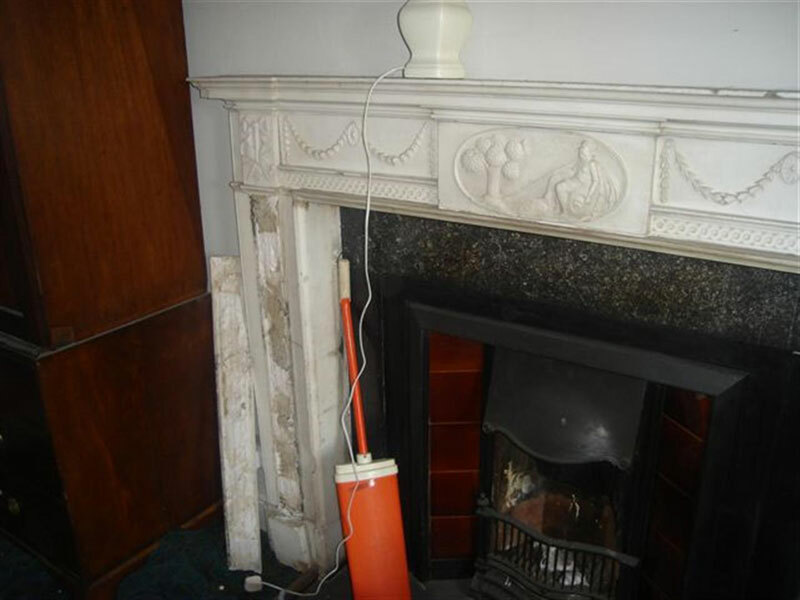 The chimneypiece had to be removed from the wall in separate components as its condition was unstable. You can see from the photograph above that the front pilaster had already fallen off, but thankfully was not broken. 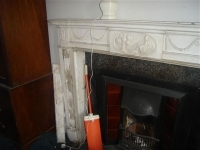 As you would expect from a chimneypiece this old there were many cracks and chips which needed repaired. 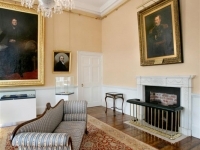 Over two hundred years of dirt and grime had accumulated on the surface which required a marble poultice to remove. 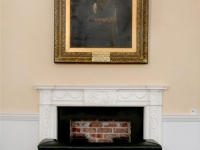 The chimneypiece was reconstructed using marble resin and then waxed, bringing it back to its original 18th century glory. 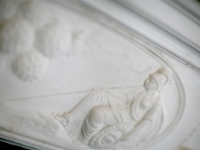 As the chimneypiece was to be installed in an 18th century building, the client wanted the chimneypiece and all its fittings to be historically correct. 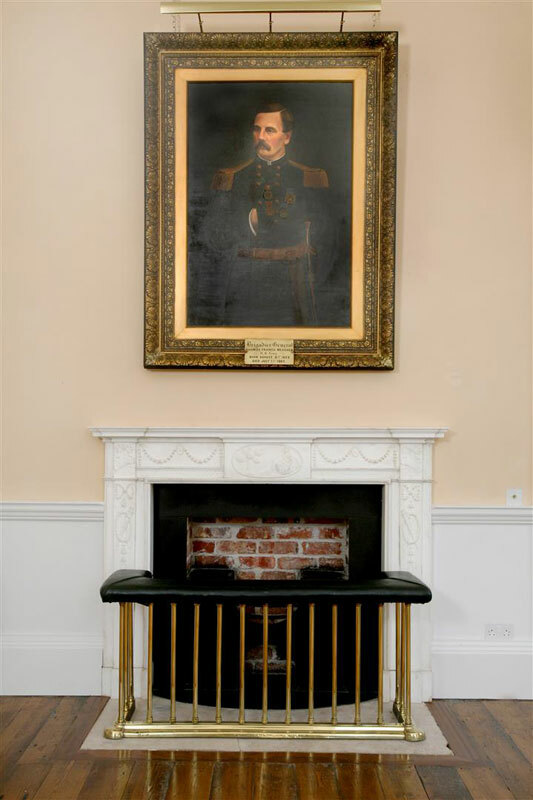 We installed the chimneypiece with a suitable neo-classical period steel grate that we had sourced. 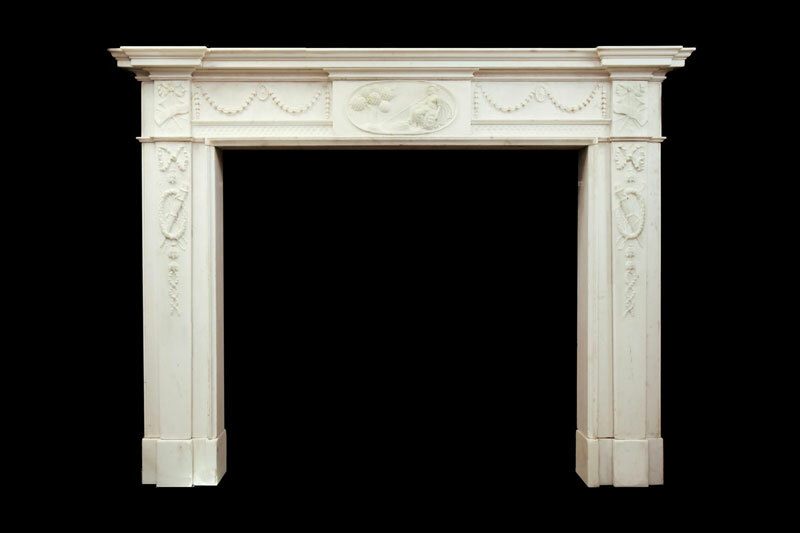 For the hearth we used statuar y Carrara marble cut the same width as the bottom of the chimneypiece and with an elliptical curve at the back. 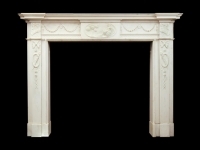 Within the curve we used black Kilkenny limestone and distressed the entire hearth to simulate age. 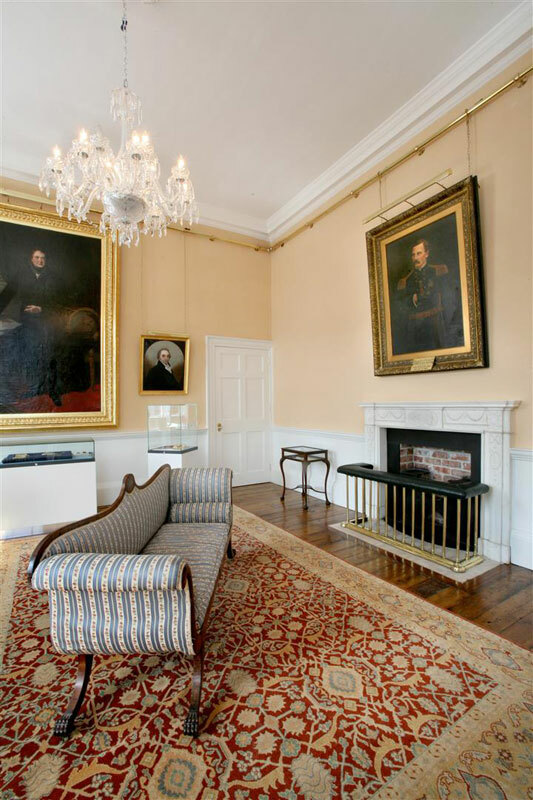 The chamber was lined with black Kilkenny limestone and was built using reclaimed 18th century clay bricks with a grit lime mortar.